Cowlitz County home finder is an agent's website, run by real estate broker Venancio Gonzalez at the Windermere Kelso/Longview office, that offers some of the best available real estate tools to aid you on finding the right Cowlitz County home for sale that will fit your needs. You will also find relevant real estate information to help you make an inform decision about buying or selling a home, local schools, communities and relocation information. Take advantage of all these great tools by signing up to receive daily updates of the newest Cowlitz County homes for sale, local real estate market trends and more. Use Cowlitzhomefinder.com to search all available Cowlitz County real estate listings, homes for sale and local real estate information about; Ariel, Carrolls, Castle Rock, Kalama, Kelso, Longview, Ryderwood, Silverlake, Toutle, Woodland and surrounding Cowlitz communities. 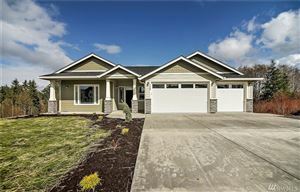 At cowlitzhomefinder.com you'll have all available Cowlitz County homes for sale at your fingertips including foreclosures, short sales, condos, and vacant land even those listed by other real estate agents and/or brokerages. Search homes for sale by communities on the links below. The Market Insider tool and real estate blog are a great addition for the latest local real estate information that allow you to find recently sold homes, local real estate market trends, Compare local communities and schools within them, other insightful information about all the Cowlitz County communities including crime risk, education, age, household income level, restaurants, points of interest, weather and more. Cowlitz County homes and real estate listings. 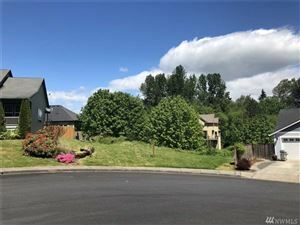 View Cowlitz County homes for sale by community, price range or type of listing. The links below will give you straight access to all available real estate listings and residential homes for sale to the respective area. This content was last updated on Apr 18, 2019 5:41:pm. Some properties which appear for sale on this web site may subsequently have sold or may no longer be available. All information provided is deemed reliable but is not guaranteed and should be independently verified. The content relating to real estate for sale on this web site comes in part from the IDX program of the RMLS™ of Portland, Oregon. Real estate listings held by brokerage firms other than Windermere Kelso/Longview are marked with the IDX logo, and detailed information about these properties includes the names of the listing brokers. Listing content is copyright © 2019 RMLS™, Portland, Oregon. Cowlitz County real estate professional with over 13 years of real estate experience, extensive knowledge of all local communities, neighborhoods and eager to get all that experience to work on marketing your listing or finding your next Cowlitz County home.